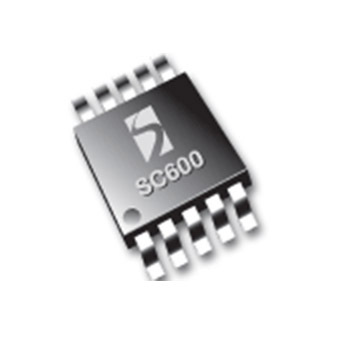 The SC600 is a versatile charge pump designed for use in battery operated power supply applications. The wide input range is matched for Li-Ion battery applications. mAhxLife LED Drivers feature a fractional charge pump implementation with efficiency comparable to a switching regulator without costly inductors. Small size: MLP micro 10-lead 3x3 mm or MSOP-10 package allows for a complete solution in .05 sq. in.